Bar code scanning hardware is useful for many business tasks, including managing inventory, tracking projects, and processing shipments. Through a business analysis, we determine which bar code scanning system is best for you, based on information like operator mobility, data entry requirements, and workplace environment. In addition to being a real-time technology, the use of a bar code scanning system ensures more accurate data, leads to more industrious staff, and carries a high return-on-investment. Advanced Mobile Group offers handheld, fixed mount, cordless and wearable laser and imaging bar code scanning solutions to companies with a wide range of needs in the distribution and warehousing, manufacturing, food services, and field sales and service fields. 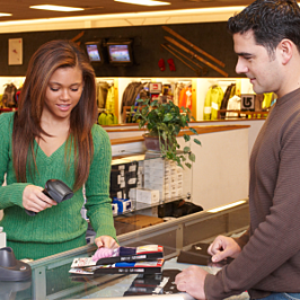 Our bar code scanners come from highly-reliable brands like Honeywell and Motorola. Collect up-to-date, on-the-spot information with Advanced Mobile Group’s portable bar code scanners. Our quality products and services will improve your shipping, receiving and tracking management. Contact us to learn more about our barcode scanning solutions.